Fishing is a very interesting and relaxing outdoor activity. However, without the right equipment, it may really befrustrating. Fish finders are therefore a great tool to boost your fishing experience in addition to the benefits they offer. A fish finder is an electronic device used by fishers and anglers to track the location of fishes in the water. It can also be used to determine the depth of the water. The technology behind fish finders is the Sound Navigation and Ranging (SONAR)system. The screen of this tool is usually wither a CRT or LCD type andworks by showing the location of a fish on its digital screen. Choosing the best fish finder may not be as easy as it seems and may at times be quite hectic especially for experienced anglers.However, the necessity to get the best fish finder must not be compromised.We know that when it comes to buying the best fish finder, it may of course be a thrilling experience because of the new level it is going to bring you on in your fishing activity. However, it is somewhat confusing at the same time because of different models out there. Knowing this, it is important that you pay close attention to the differences in these models. This will help you determine the perfect fit to get for yourself while putting the price to value ratio into check. More importantly, you should know first what you need in your fish finder. This is because everyone does not fish the same way nor in the same type of water. So you need the best model so to help in meeting your fishing needs and provide maximum benefits. Of course, there are other critical things to consider before stepping out to make your purchase, therefore, we invite you to take a look at these important factors below. Fish finders can be classified into three major types namely, networked, standalone, and combination fish finder. Standalone Fish finder: They are also referred to as dedicated fish finders. if you are the type that fish on the small inland lakes, this fish finder is ideal for you. This type also usually comes at a relatively cheap price due to the little basic features it has. They are primary ideal for getting a good view of what is below the water because of its big display. Combination Fish finder: For anglers who use a mid-sized boat, this combination fish finder is about the best pick for them. With this type, you can use its split screen so as to view the GPS as well as the fish finder anytime you need to. When you get on the water to hunt for fishes, just switch on the fish finder screen and you and hence locate your game. Networked Fish finder: This fish finder is an interesting type as ithas quite a good number of amazing features which include WiFi, Bluetooth, and Android or Smartphone compatible. This means you can easily have full control over it with your smartphone or android. You can also get to combine a number if data charts and sources with it such as Sirius, radar, raster, and vector GPS charts. If you use medium or large-sized vessels, this type of fish finder will be the best for you. With the above information, you will see that what you need out of your fish finder would help you determine the type you should go for. The major differences are however in the kind of water they are ideal for and the added features they come with. One of the things you must pay close attention to is the display size of the fish finder you want to choose. If the model has a large display screen, this would be a huge plus as it will be able to show more information at a times. It would also help reduce the stress and time of having to navigate through the interface if it were to have a small screen. Also, you it is important to know that the larger the screen, the easier it would fit for finding bigger fishes. However, you must know that larger screen does not necessarily correspond to a good display quality. GPS is an important part of fish finders. They are essentially GPS trackers and are usually designed with the sonar function. Quite a lot of fish finder models feature the GPS support and with it, you will be able to have access to accurate data of your precise location. However, for it to work perfectly, it must have the right chats installed on it. The type of water you are fishing on determines whether you will need a fish finder that features a GPS support or not. For example, if you fish on big rivers or canals, a GPS support would prove invaluable if attached to your fishfinder. 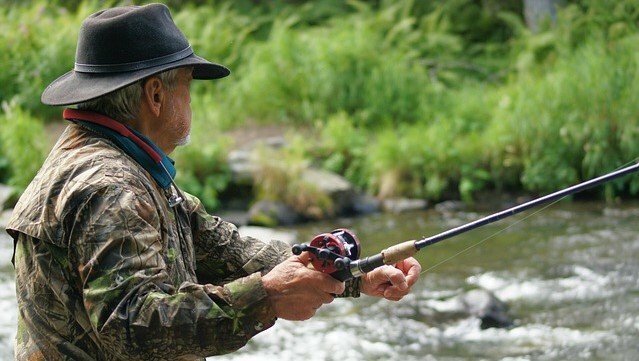 But if your fishing is usually on small waterways and rivers, you might not need the GPS system as you will be able to see everything clearly and easily. Another important thing to consider when looking to purchase the perfect fish finder for yourself is the available amount of power it has. Knowing the amount of power is important because it will help you know the amount of depth it can see underwater. A powerful fish finder would will give more comprehensive results because its sound waves will be able to reach the bottom of the water. Perhaps, you are the type that loves to fish in deeper waters, therefore, getting a powerful fish finder should be a top priority for you when looking to buy one. The component of a fish finder which defines its strength is the transducer. The transducer is the part that transmits creates, transmits and receives the sound wave. As such, the stronger the transducer, the more powerful the fish finder and the more the depth of water you can see. We have already talked about display size which is closely associated with the screen. Again, a large screen size does not equate to a high screen quality. As a matter of fact, screen quality is also a good factor to consider when choosing an ideal fish finder. Simply, a high pixel count fish finder will produce a clear sonar image and would be ideal for spit or multiple views. Another thing to check is the sonar. Sonars are of two primary types which are the down scan sonar and the side scan sonar. A down scan sonar works by transmitting signals directly below the boat while the side scan sonar woks by transmitting signals in form of fan-shape to the boat’s sides. The side scan sonar type produces images which have wider spread and the angler need not put the boat over the area before it works effectively. Conversely, the down scan type produces images which shows a more definite and focused representation of the area being operated on. Thus, when you are fully aware of the type of images you are looking to take in respect to whether you will be fishing the deep or the shallow waters, you will know which to choose. Interestingly, it is a huge plus that some fish finder features both sonar types; thus if you have enough money, you can buy from these type of fishfinders. Now that you know how to pick the fish finder, purchasing shouldn’t be much of hassle anymore. In view of this, we provide you our top ten picks of fish finder of which you can buy. They have been carefully researched so that you can choose from the best ones with the best features. The Garmin Striker 4 Built-In GPS Fish Finder is a great tool in knowing whatever is around your boat in the water. It features a high frequency ClearVu Scanning Sonar which provides high resolution images with detailed representation of structures, objects and fishes in the water. The waypoint map featured in this fish finder is incredibly functional for easy viewing, marking and navigating locations such as stumps, docks, ice heaps, and brush piles. The Garmin Striker 4 Built-In GPS Fish Finder features a powerful CHIRP sonar which transmits a continuous spread of frequencies and provides a wider cover of detailed information. It is powerful enough to create crisper fish arches with finer target separation. The Garmin Striker 4 Built-In GPS Fish Finder is furnished with a built-in flasher with which your sonar data can be displayed and viewed in a classic flasher format. This is a choice fit for ice fishing and vertical jigging. The Battery featured in the fish finder is very outstanding. It provides 12 volts, 0.23A of battery life. The fish finder is designed with an indicator light that displays when it is charging. The Garmin Striker 4 Built-In GPS Fish Finder’s versatility is astonishing as it can be efficiently used for both freshwater and saltwater fishing. Its imaging ability can reach a maximum depth of 1600 feet in freshwater and 750 feet in saltwater. The Lowrance HDS-Gen2 Touch Insight 83/200 fish finder is a third generation fish finder with an all-in-one functionality. It is a perfect blend of a fish finder, a chartplotter, and a depth sounder. It is an incredible fish finder and is a choice pick for most anglers. It is designed with a high definition side screen color display output which is 7-inches in size. Another amazing feature of this fish finder is its touchscreen functionality which makes it easy to navigate and operate. The fish finder features a novel StructureScan HD sonar imaging with which you can have a clear cut view of fishes under your boat. It also features the DownScan Overlay with which you can enjoy a high qualitylive display of the bottomimagery and fishes in the water depths. The real-time StructureMap feature helps you to over lay the imaging data generated by your StructureScan Sonar on any chart you want. This provides a good live view of the underwater and the position of your both relative to structures along your path. This fish finder is built with an internal GPS receiver which has been reviewed to be highly accurate. It also features the Insight Genesis with which you can create your own maps from the sonar logs you have recorded. You can also upload data to your Insight Genesis account along with downloading of data to your SD card and viewing of custom charts online when using this fish finder. Another amazing feature of this fish finder is that you can multi-view, that is, display different charts at the same time. You can also view charts such as the Navionics cartography or USA maps at the same time with other maps without having to close one first. It offers full control along with overlay capabilities with which you can view charts both in 2D and 3D perspective. The GoFree Wireless feature is an interesting functional part of this fish finder. With this functional feature, you can have full control of sonar and chartplotter displays right from your smartphone or tablet through wireless connection. However, your phone must be installed with the GoFree Wireless App and the fish finder requires the WIFI01 module so as to function effectively. The features that theLowrance HDS-Gen2 Touch Insight 83/200 fish finder is built with would keep your fish finding adventure fun and very interesting.It features a built-in StructureScan Sonar imaging, 3d Perspective View, StructureMap, 4GBroadband and 3G Radar, DownScan Overlay, TrackBack, In-built Insight, USA Mapping, and Optional Navionics, Super VGA SolarMAX PLUS TFT display, 83/200Khz Skimmer Transducer, SIRIUS Weather Overlay capability, 7-inches touchscreen with pixel resolution of 480 by 640 and aspect ratio of 16:9. Very technical and not a good fit for beginners. The Garmin Striker Plus 7SV with CV52HW-TM transducer, 010-01874-00 fish finder features an in-built WiFi with which you connect with the free ActiveCaptain app. From this ActiveCaptain, you can get notifications on the display unit after connecting successfully. In addition to this, you can enjoy unlimited connection to the Quickdraw Contours Community where you can upload your new maps or download from the community. The Quickdraw Contour map drawing software is claimed to be able to keep up to 2 million acres of contents with 1’ contour. The Garmin Striker Plus 7SV with CV52HW-TM transducer, 010-01874-00 fish finder also features the CHIRP technology with which it creates clear images of scenes in the water. It works by transmitting sound waves through a wide range of frequencies. This is like a better upgrade to sonar images and some superior CHIRP images because some of them do not always produce an exceptionally clear image. This ClearVu and SideVu technology featured in the fish finder equips it with higher sonar scanning power. The ClearVu scanning sonar collects images from above while the SideVu scanning sonar collects images from the sides of the boat. The Garmin Striker Plus 7SV with CV52HW-TM transducer, 010-01874-00 fish finder is protected with the IPX7 water-resistance capability. It withstand any incidence of water splash and submersion in 1 meter deep water for thirty minutes. The Garmin Striker Plus 7SV with CV52HW-TM transducer, 010-01874-00 fish finder is designed with a flasher function. This in-built flasher helps you to shield out all unnecessary data showed on the fish finder screen. The Garmin Striker Plus 7SV with CV52HW-TM transducer, 010-01874-00 fish finder comes with an in-built GPS functionality which enables you to mark waypoints, create routes, navigate optimally, and check the boat’s speed. This fish finder’s functionality is quite impressive and it is built with exquisite features. It has a bright 7-inches display, 800 x 400 resolution, 500-Watt RMS power, Split-screen zoom capabilities, IPX7 water-resistance, Water temperature sensor, built-in GPS, ActiveCaptain, and Garmin Quickdraw Contour. It also designed with the Garmin CHIRP traditional sonar, CHIRP ClearVu and CHIRP SideVu scanning solars, built-in Wi-Fi functionality for easy pairing and sharing of data. It is 9.3 x 2.3 x 5.5in in dimension and weighs 1.7 pounds. The Ray Marine Electronics E70320 Dragonfly 7 Pro has been built with GPS which helps to track your location on the water. It is features with the US Navionic charts of waters along with maps of different US lakes with which you can keep yourself on the route and avoid risky spots. The images provided by this fish finder is incredibly amazing. Thanks to its CHIRP technology which combines with its split screen capability to provide a high definition image of fish around and beneath the boat. The display unit is weatherproof and is not affected by fogs which rises in some cold areas. The sonar pulse of this fish finderis operated on a frequency range of170-230 KHz for 2D CHIRP. However, for the CHIRP DownVision, it operates on a frequency range of 320-380 KHz. The sonar optimization is automatic and therefore, there is no adjustment required. The beautiful thing about the CHIRP modulation is that is higher in quality than all other common sonar with just a definite frequency. This implies that the images produced by this sonar is clear-cut, clear, and less cluttered. As a good example, when a group of fishes is spotted by the beam from your sonar, unlike appearing as just one colored dot, they appear singly on the screen as potential target points. The Ray Marine Electronics E70320 Dragonfly 7 Pro is a one kind of fish finder which offers much for every anglers. It has a 7-inches bonded display with a pixel matrix of 800H x 480V. The display is made up of a LED backlit and has 15:9 aspect ratio. It has both IPX5 and IPX7 rated waterproof system. It features GPS/chart plotter, CHIRP traditional & CHIRP Down Vision fish finder, Wi-Fi, compatible with Lighthouse, Navionics & c-map charts, transducer. It also features a microSD card slot for map upgrade, map downloads, and data sharing. It has the dimension 13.8 x 13.8 x 13.8 inches and weighs 2 pounds. The Humminbird 410210-1 HELIX 5 CHIRP GPS G2 Fish finder is one of the choicest fish finder to get. It has high price to value ratio because of its amazing quality and great features. If you are looking for a lightweight fish finder which is easy to operate, you should opt in for this. It has an amazing display, along with ease of saving waypoints. As the name implies, it features CHIRP Dual Beam PLUS sonar 4000 watts PTP power output which provides it an incredible fish finding capability. The images captured by the Humminbird 410210-1 HELIX 5 CHIRP GPS G2 Fish finder is usually of good resolution and high quality. The Humminbird 410210-1 HELIX 5 CHIRP GPS G2 Fish finder is designed with a 5-inches color WVGA display which has backlight and colorful for smooth reading even under high light exposure. The Humminbird 410210-1 HELIX 5 CHIRP GPS G2 Fish finder has been improved with a standard basemap which provides more detail and enhanced fishing experience. It is designed with GPS and updated data from LakeMAster, NOAA and other reliable sources. These maps are very accurate and provide details like depth contour, spot-soundings to U.S coastal lines and over 10,000 lakes, navigation aids and points of interest. This helps to fish without fear and enjoy the angling experience with all boldness. The Humminbird 410210-1 HELIX 5 CHIRP GPS G2 Fish finder has a lot of exquisite features which depicts it as an innovative fishing product. It comes with a Gimbal or Optional In-Dash mouting options, MicroSD Card reader, ​a brilliant 800H x 480V, 5″ 256 color display with backlight, CHIRP Dual Beam PLUS sonar with 4000 watts PTP power output, precision Internal GPS Chart plotting with built-in Anima cartography, Out of the box transducer, and a XNT 9 20 T transducer compatible with varying frequencies. The fish finder is IPX7 waterproof and very easy to install. It has the specification 1.1 x 7.5 x 4.3 inches and weighs 10.1 pounds. The Humminbird 410220-1 Helix 5, Chirp Di GPS G2 fish finder has all of the top notch imaging capabilities of many big and sophisticated fish finders. This fish finder is notable for its split screen features which makes it a top pick for most anglers. The Humminbird 410220-1 Helix 5, Chirp Di GPS G2 fish finder is a good tool in simultaneously viewing two charts together. It features a split screen zoom function which helps you to display two different times on the screen at the same time. The Humminbird 410220-1 Helix 5, Chirp Di GPS G2 fish finder comes with a CHIRP dual beam plus sonar which is featured with 4000 watts PTP power output. This makes a great feature for better fish finding as it displays compact images of fishes in clear form that most fish finders cannot see. The Humminbird 410220-1 Helix 5, Chirp Di GPS G2 fish finder is built with the X-press menu system which provides and intuitive interface for easy navigation and chart plotting. The Humminbird 410220-1 Helix 5, Chirp Di GPS G2 fish finder is designed with a LED backlight which allows for use of the fish finder irrespective of the weather condition. This is a feature cherished by most anglers who fish in both dim and bright weather conditions. The Humminbird 410220-1 Helix 5, Chirp Di GPS G2 fish finder features a brilliant 800H x 480 V, 5-inches 256 color display with LED backlight, CHIRP Down imaging, and DualBeam PLUS sonar with 4000 watts PTP power output, precision internal GPS, in-built UniMap Cartography, and a microSD card slot. The Lowrance 000-12635-001 Hook-3X Sonar, W/83/200 XDCR Fish finder is considered to be one of the best devices for kayak fishing. If you are looking for a not too expensive fish finder with a relatively good number of features, you should consider buying this. It has a 3-inch color display with LED backlight and 320 x 240 resolution for smooth reading of data and charts both in the night and under the sunlight. The Lowrance 000-12635-001 Hook-3X Sonar, W/83/200 XDCR Fish finder solves the problem of having to adjust the settings frequently so as to see fishes and structures clearly. This model uses the ASP to help reduce the time you need to produce a good image. This is because you will no longer need to manually adjust the settings to see clear structures again. The Lowrance 000-12635-001 Hook-3X Sonar, W/83/200 XDCR Fish finder features a broadband sounder detail which allows you to easily spot fish groups and resolve targets, bottom contour, identify structure targets, determine bottom hardness, thermoclines and many more. This model fish finder comes with a patented Skimmer Transducer along with an inbuilt temperature sensor which allows it to track up to 75MPH. The Lowrance 000-12635-001 Hook-3X Sonar, W/83/200 XDCR Fish finder features a 83Khz Sonar operation of 83/800 KHz and supplies up to 60Deg of conical coverage ideal. This enables it to provide a closer and more accurate view of largest fish arches and searching large areas. The Lowrance 000-12635-001 Hook-3X Sonar, W/83/200 XDCR Fish finder though comes at a cheap price, it is one type of fish finder with amazing features. It has the dimension 3.8 x 1.9 x 6.5 inches and weighs 2 pounds. It comes with fish ID displays, track and fish alarm options, dedicated keys for zooming up to 4x the standard view and focus, power buttons, patented skimmer transducer with built-in water-temperature sensor, and tilt-&-swivel bracket. The Garmin echoMAP Chirp 53cv fish finderis an incredible fishing companion which would keep you engaged all through your fish finding expedition. It is a top class model of Garmin fish finders and it comes at a relatively affordable price. It has a very friendly user interface and supports split screen. It will serve you well and definitely help you home with big fishes through the amazing features it offers. The Garmin echoMAP Chirp 53cv is exquisitely featured with the ClearVu Scanning sonar efficientfor giving you a clear-cut information of what id around your boat. This high frequency sonar provides a high quality pictorial representation of everything solid around your boat. An incredible feature of the Garmin echoMAP Chirp 53cvis the Lake Vu HD Maps it comes with. This maps have a wide coverage of up to 17,000 lakes with 13,000 of them being HD lakes with 1-foot contours shore to shore. The Garmin echoMAP Chirp 53cv is a proven fish finder with high quality end features and great tool for navigation on water bodies. It is exquisitely built to give you a clear picture of what’s under the water. It features a 5-inches color display with keypad control,a multi-frequency CHIRP sonar, a ClearVü scanning sonar technology, CHIRP ClearVü and CHIRP SideVü capabilities, Quickdraw Contours custom map creating feature, NMEA 2000 for engine data, sensors, and autopilots, U.S. BlueChart g2 charts, U.S. LakeVü HD maps, Canada LakeVü HD maps, and product specification of 6.8 x 1.7 x 5.4 inches. Superior clarity through its CHIRP technology. In conclusion, taking a closer look into each of these fish finders reveals that most of them have great features which pose them as good fishing workhorses. The choice of which to buy may very much depend on your budget and what you are looking for in a fish finder. They are arguably the best fish finders you will find out there because they have been carefully designed to meet anglers’ varying expectations. However, we would recommend our top pick for you that surpasses all the above fish finders. It is the Garmin Striker 4 Built-In GPS Fish Finderand this is due to its exceptional functionality, versatility in both salt water and freshwater, and its good price to value ratio.